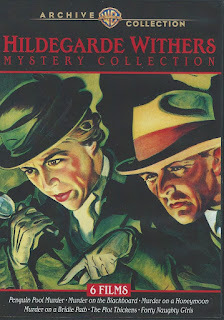 This book is part of the Hildegarde Withers series of mystery novels. The protagonist is a spinster schoolteacher who often ends up working on cases with Inspector Oscar Piper of the New York Police Department. In this fourth book of fourteen, Hildegarde Withers is enjoying her first vacation in years on the island of Santa Catalina when a Dragonfly Seaplane lands with nine new visitors to the island. One of the passengers on the plane is dead and the local officials want to declare the death as due to natural causes, a heart attack. Hildegarde thinks he was poisoned. She raises a stink but gets no results. The victim turns out to be Roswell T. Forrest, who has a $15,000 price on his head to prevent him from testifying before the Brandstatter Committee investigation back in New York. Hildegarde promptly telegraphs to Inspector Piper in New York. He sends a telegram in return telling the police chief to hold off on doing anything with the body until he arrives. Because the death occurred on the airplane, the circle of suspects is limited to the pilots or the other passengers on the flight. In this story Hildegarde gets to do most of the detecting herself. Inspector Piper is delayed and does not show up until close to the end. Hildegarde is fearless in detecting and strikes off hiking across the island in search of evidence, fortunately not alone but with a friend from the hotel, a passenger who had come in on the seaplane. This was a fascinating read. The picture of Avalon and Santa Catalina island in the early 1930’s is just wonderful. There is a diagram of the old seaplane and where people sat. I could just imagine what such a flight would be like. Hildegarde Withers is always entertaining. She doesn’t put up with anything and always speaks her mind. It was good to see Hildegarde getting her own investigation, mostly, but the friendship and respect that she and Oscar Piper have for each other is always a part of these books that I enjoy, so I was glad when he showed up. And the plot is very good. There were a lot of characters, and I only had a slight hint of who the culprit might be. These stories are humorous, but they are not written exclusively for laughs. There is a serious story and Hildegarde Withers is serious about her investigation. With the decisiveness of an old campaigner, the man in brown chose the third seat from the front on the right, placing himself thus directly in front of the girl with the red curls. The usual pair of dark sun glasses obscured her eyes, but her mouth was pleasantly tinted in an orange that matched her hair and contrasted well with the blue of her corduroy trousers. There is a lovely description of the masses of people on the streets of Avalon, and I was surprised to read about the scanty attire of the young ladies in 1933. Brown-faced gentlemen moved shoreward, bearing the heavy rods and tackle that spell menace to swordfish and leaping tuna. Red-faced gentlemen bore large and shiny golf bags. Little boys swung bright tin pails. Old ladies beamed from wheelchairs—and young ladies beamed from everywhere. There were girls, girls—thousands of girls. Girls in furs and girls in cotton pajamas. Girls in riding habits, girls in Paris models, girls in homemade frocks—but mostly girls in very little of anything. Young, tanned bodies in the briefest of shorts, with a wisp of silk haphazardly bound across their breasts ... the essence of Catalina. We also watched the film adaptation of this book starring Edna May Oliver and James Gleason as Hildegarde Withers and Oscar Piper. Although the story in the film is close enough to the plot of the book, Piper does show up earlier and play a larger role. Some of the passengers on the seaplane are eliminated from this version and Hildegarde comes over on the plane with the other passengers. The footage of the flight and Santa Catalina Island was wonderful. As usual, I prefer the book, but the movie is a lot of fun too. There were six films based on this series of novels, and Edna May Oliver starred in the first three. Later she was replaced by Helen Broderick and Zazu Pitts. My previous reviews of The Penguin Pool Murder and Murder on the Blackboard, which also had film adaptations. A lovely and informative review by Nan at Letters from a Hill Farm. Comments on the film at TCM. The Rue Morgue Press edition of this book is still available online, and the book is also available as an e-book from Mysterious Press. Source: From my TBR piles; purchased in 2017. Later that night Potterwait was found in his shabby apartment, a bullet through his forehead, and pink ballet slippers wedged awkwardly on his feet. The paragraphs above do a very good job of describing the set up for this book and giving an overview of the characters. After the murder, two new characters enter the story. Keith Sherman is Mr. Potterwait's nephew, and is the one who discovers the dead body. He had gotten a late-night call from his uncle asking him to come over immediately, and rushed to his apartment to see what the problem was. Inspector Cherney is the investigator who spends a lot of time at the apartment house, talking to the residents and trying to figure out who is most likely to have killed Lawson Potterwait. This story reminded me a lot of a George Bagby book I read in January 2016, Blood Will Tell. In both novels, the setting is New York City. In Blood Will Tell, the death occurs in a swanky apartment building, complete with doorman and well-to-do residents; in this one, the apartment building is on a lower economic level. But it wasn't just the settings that were similar; it was also the focus on the various tenants, their relationships and backgrounds. 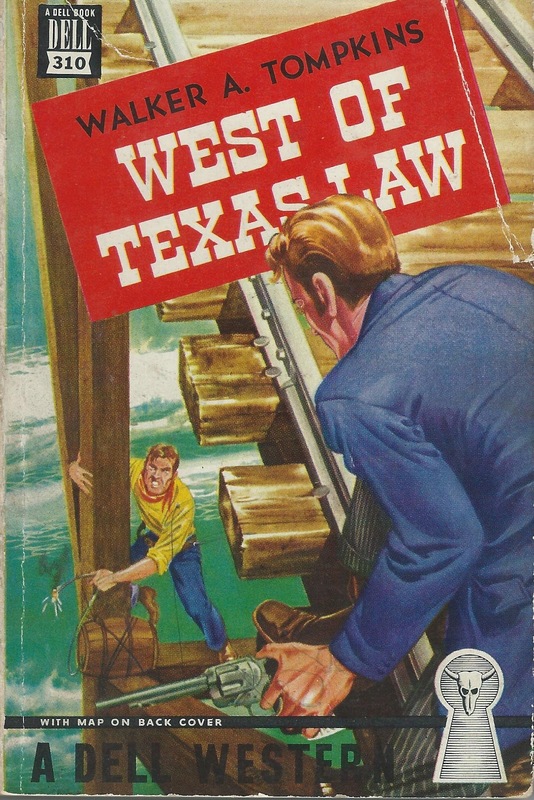 The two books were published in 1950 and 1952 respectively, both as Crime Club Books. 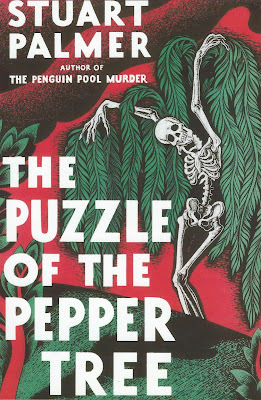 The author, Iris Little Heitner, who wrote under the pseudonym Robert James, is the sister of Constance and Gwyneth Little, who wrote mysteries in the 30's, 40's and 50's under the pseudonym, Conyth Little. Iris only wrote one other mystery that I am aware of, Board Stiff. I have a copy of that book on order. Thanks to Moira at Clothes in Books for sending me this book, which she reviewed here. She knows I love any book with a skeleton on the cover, and this one is especially nice. 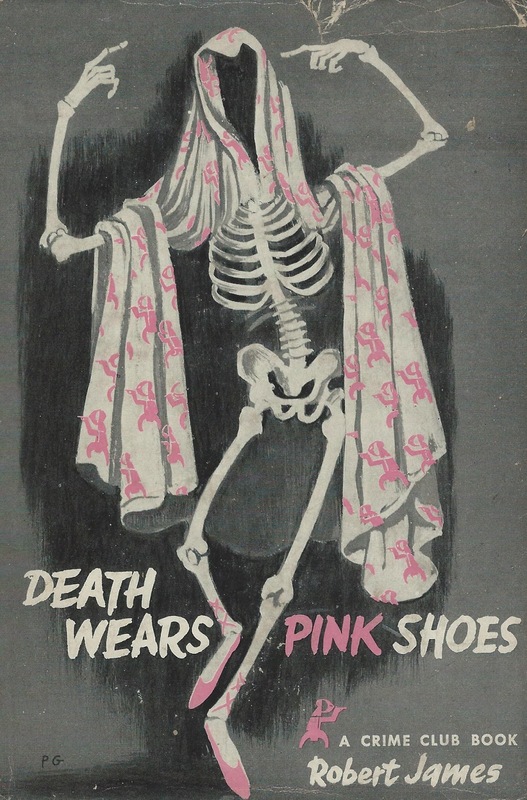 Notice that the sheet that the skeleton wears is decorated with pink Crime Club logos. The book is available in an e-book edition. 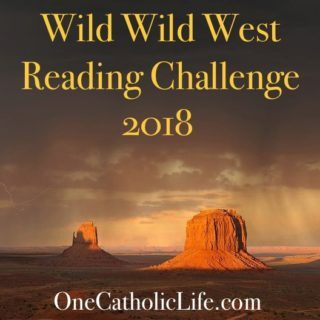 Nick Senger at One Catholic Life is hosting a Wild Wild West Reading Challenge for 2081 and I am joining in. 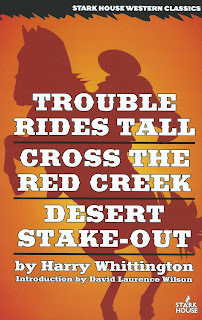 I have been planning to read some westerns for years and this is the year when it is going to happen. 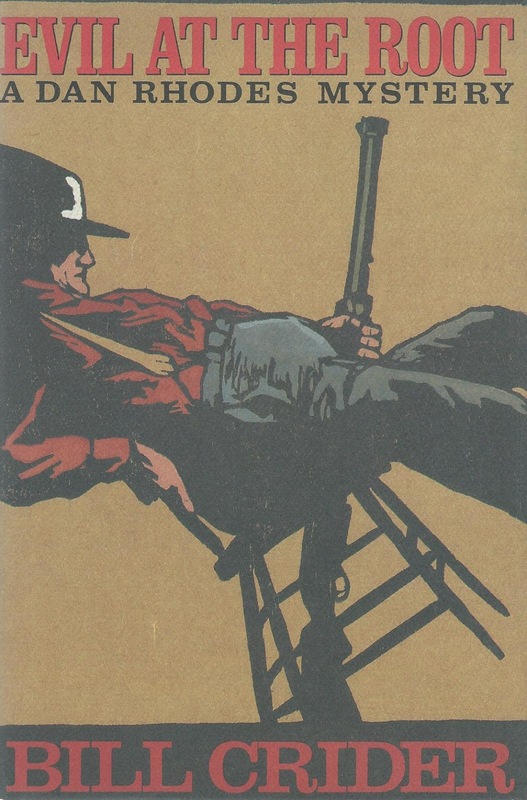 ... a western is defined as “a book set in the American Old West frontier and typically set from the late eighteenth to the late nineteenth century.” That definition can be stretched a bit to include books like Eowyn Ivey’s To the Bright Edge of the World about the Alaskan frontier, or even books like Sackett’s Land, the first of Louis L’Amour’s western series about the Sackett family, even though it begins in 17th century England. The challenge started on January 1, 2018, and concludes on December 31. Any other information about the challenge can be found HERE. Lasso and Chaps = Read 2 westerns. This book, published in 1928, was the first one featuring Miss Maud Silver. Although she does get involved fairly early in the book, she is not prominent in the story. 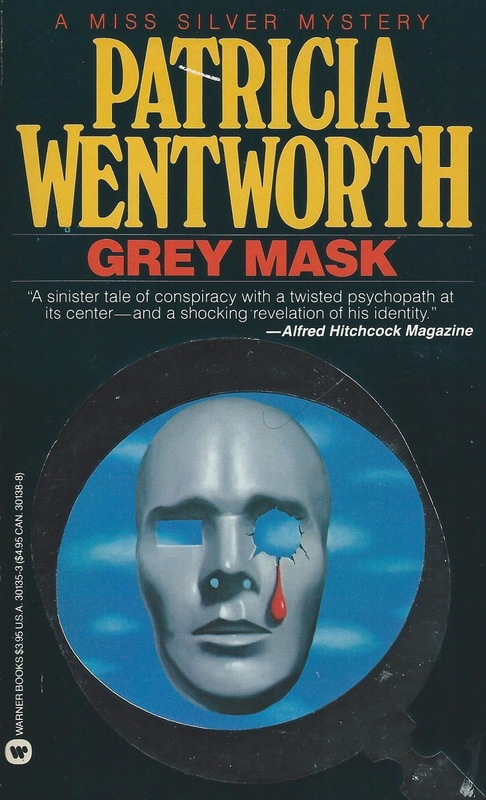 The second book featuring Miss Silver did not come out until 1937, so maybe Wentworth did not initially plan for her to be a series character. In this book she is an established private investigator, known for taking cases where women have gotten themselves into some trouble, such as the theft of valuables, and have enough money to hire Miss Silver to quietly solve the problem. Charles Moray left England abruptly four years before, when Margaret Langdon broke off their engagement. On his return, he discovers a conspiracy that Margaret is involved in, and tries to foil the conspiracy without revealing her part in it. When he discusses his problem with his friend Archie, he suggests Miss Silver. ‘Well, a sleuthess. She’s not exactly what you’d call a little bit of fluff, you know’. After a bit of convincing, Charles does decide to confide in Miss Silver. This was a charming book. 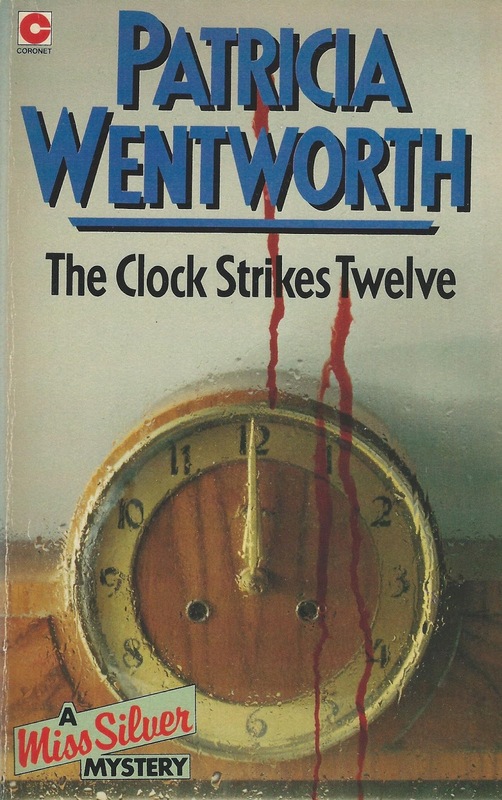 I decided to go to the first book in the series after I read The Clock Strikes Twelve, which I liked very much. I will admit that we don't get an in-depth picture of Miss Silver in this book, although I did not notice that so much because I had read books from the series when I was younger and I already knew pretty much what the character was like. She does emphasize one of her basic requirements: that her clients must trust her and tell her everything about the case, holding nothing back. Since this was more about a conspiracy and less of a puzzle mystery, it had more suspense than the earlier story I read. People are in danger and there is romance. I should have guessed who the villain was at least midway through the book but I did not. The story had some very interesting characters and a satisfying ending. You can probably tell from my enthusiasm that I will be reading more books in this series. I found quite a few at the book sale in September and already had a few on the shelves so I am set for a while. More reviews at Clothes in Books and In so many WORDS. Source: I purchased my copy at the 2017 Planned Parenthood book sale. Here I am, nearly into the middle of January, and only now working on a list of books I read in December. December was a big reading month for me; I read a total of 12 books. Three of them were not mystery novels, although two of those did have mystery elements. Persuasion is the story of Anne Elliot, the middle child in a family of three girls; at the time of the book she is 27 years old and unmarried. 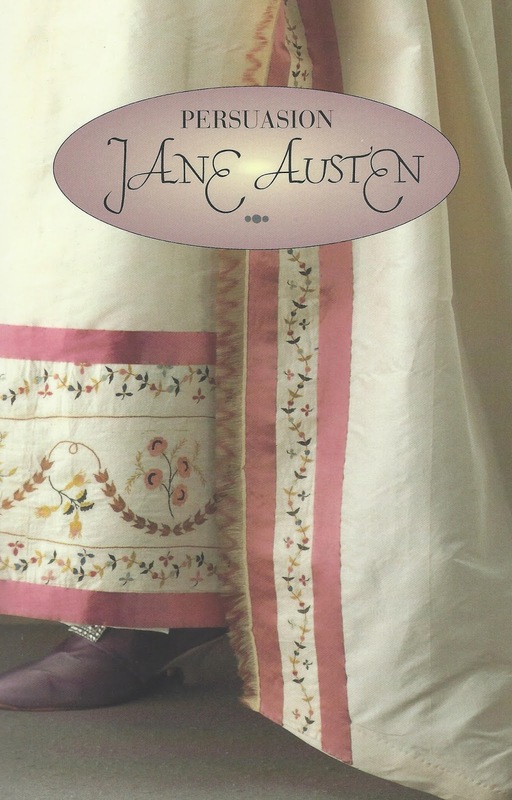 It was the last novel Austen wrote and was published after her death. It is a more mature novel, and certainly Anne is a more mature protagonist than the other books I have read so far. My thoughts on the book are HERE. 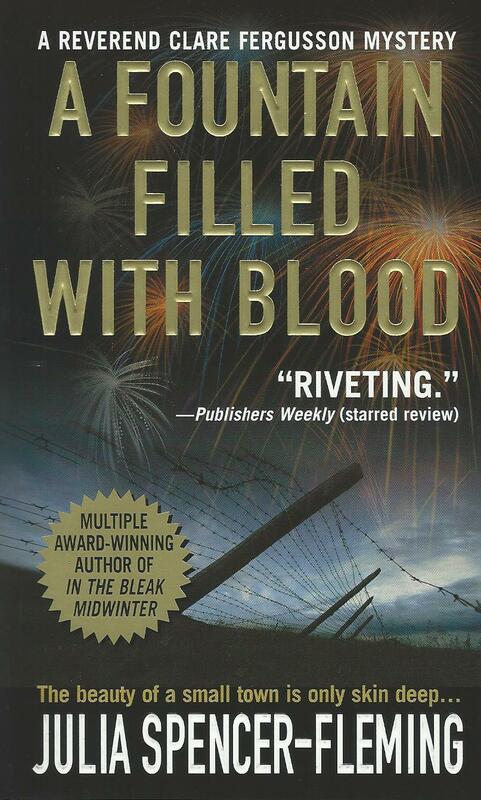 This book was nominated for the 2002 Agatha award for Best First Mystery Novel. There is a mystery to the story but I would not categorize it that way. 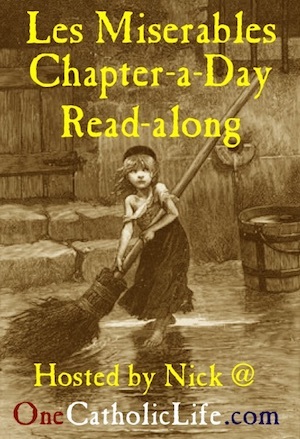 The central character is Rosie, seven years old, who has been taken in by friends of her mother. The couple live over a Soho café that they run during the day. It is 1953, the year of the Coronation of Queen Elizabeth II, and that was fun to read about. I enjoyed all of it, the story, the characters, the narration by Rosie. The second novel in the Oxford Time Travel series. Ned Henry has made too many trips to 1940 in search of the Bishop's bird stump, and has been prescribed a week or two in Victorian England to get some rest and relaxation. He thinks he is there to recuperate, but really he has a new mission to pursue, and he has no time to relax. Where Doomsday Book was sad, To Say Nothing of the Dog is funny with some elements of a mystery and more than one romance. I loved it just as much as Doomsday Book. And now for the nine crime fiction reads. The 2nd book in the Max Tudor series, set in the weeks before Christmas. Max is the vicar of the very small village of Nether Monkslip. However, because he was previously an agent for MI5, he also helps the local police out on occasion. My review here. This is the 5th book in Bill Crider's long running series about Sheriff Dan Rhodes, set in rural Texas. A wonderful series, and I will be reading them all. My review here. This was one of my favorite reads of 2017. Rudy Benedict is a screenwriter who dies after taking poison in a headache remedy. The story is about three women affected by his death: his mother, Fiona Benedict, a college professor from Ohio; Kelly Ingram, a TV actress; and Marian Larch, a NYPD homicide detective. My review here. 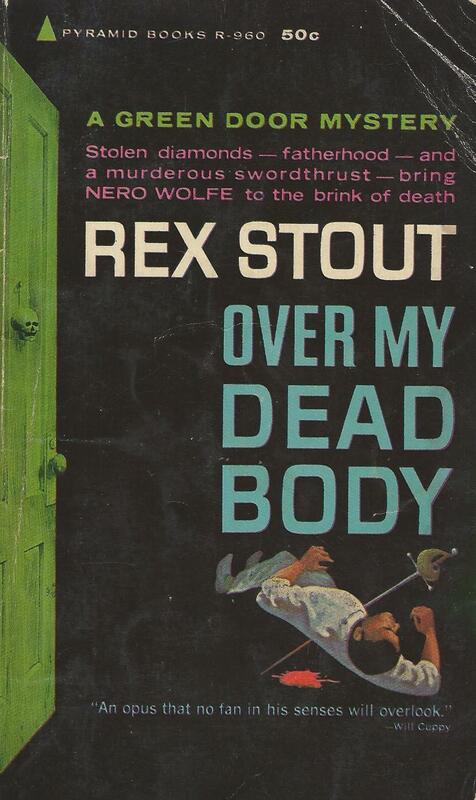 This is the 8th book in the Nero Wolfe series, published in 1940. I have read every book in the series more than once, and I always I enjoy them. This is not the best of them, but still very entertaining to read. My thoughts are here. 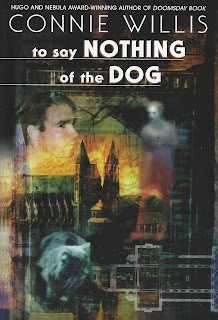 There are three books in the Canterbury Cathedral mystery series, and this is the first. They feature a retired intelligence officer, Colonel Richard Harrison, who has given up his job in intelligence to have more time to care for his wife who is disabled. There is a death at the Cathedral, and Harrison's former boss asks him to investigate surreptitiously. 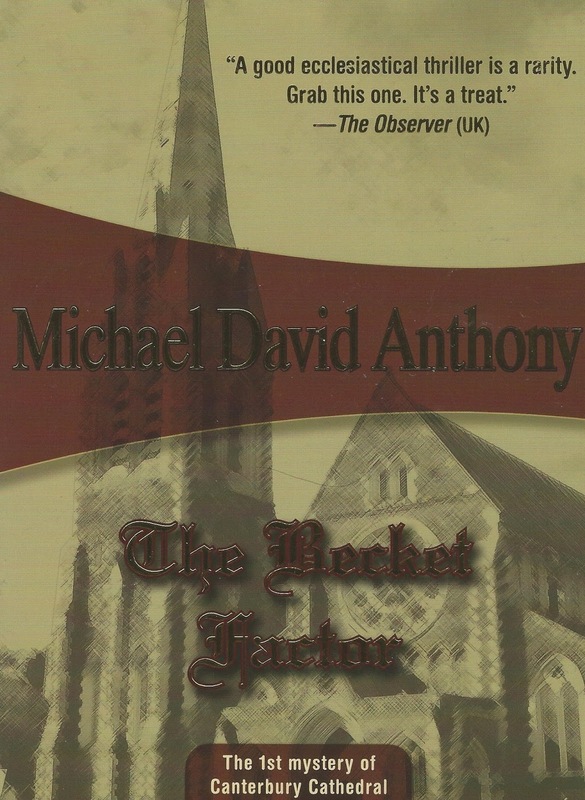 With the ecclesiastical background, and a hint of spy fiction, I enjoyed this book. Coincidentally, this was set around Christmas so it was a good choice for December. Cormoran Strike, formerly a military policeman, is now working as a private investigator because he lost his leg to a land mine in Afghanistan. As this book begins, his PI business is not doing so well. Things start looking up when Robin Ellacott takes a job as his temporary secretary and he gets a high-profile job to investigate a suicide that occurred three months earlier. Based on reviews, I thought I would like this and I did. The main characters are convincing, the story held my interest, but the book could have been shorter. Hit Man is not a novel but a series of connected stories about an assassin named Keller. He lives in an apartment in New York City and leads a normal life, except that the way he supports himself is by killing people. It was a very enjoyable read but it is an adjustment to get used to a killer being the main focus, without any retribution in the end. The second book in Mick Herron's series starring Private Investigator Zoë Boehm, set in Oxford, England. I loved the first book, and this one was just as good. Zoë is a strong female character, intelligent and resourceful. Shan Tao Yun is a Chinese investigator from Beijing who was denounced and sentenced to hard labor because he criticized the regime. Assigned to a prison work gang in the mountains of Tibet, he is called upon to investigate when a headless corpse is found on a mountainside. 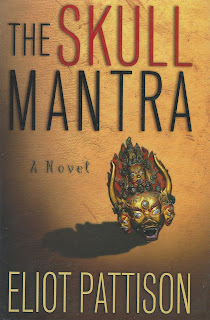 I enjoyed this book as much for the view of Tibet under Chinese occupation as for the mystery. Archie Goodwin, Nero Wolfe's secretary and leg man, often takes it upon himself to badger Wolfe into taking a case because the bank account is getting low. Wolfe's hobbies and lifestyle are very expensive. In this case, he is convinced to take on an unappealing case, that of dealing with the problems of a disputed will. Noel Hawthorne has died in a shooting accident at his country home, and he has left most of his huge estate to his mistress, Naomi Karn. His wife, Daisy, whose face was disfigured due to an accident, is bitter and plans to contest the will. Noel's sisters are all famous for their diverse talents: June is a writer who is now married to John Dunn, the Secretary of State of the United States; May is a scientist and president of a college; April is an actress on the stage. They are also shocked at being written out of the will, but their main aim is to avoid a scandal. They show up at Wolfe's office requesting his help in persuading the mistress to take less money to appease the wife. Shortly after Wolfe gets involved in the case, it turns out that Noel Hawthorne was murdered and the police consider the family members to be the most likely suspects. 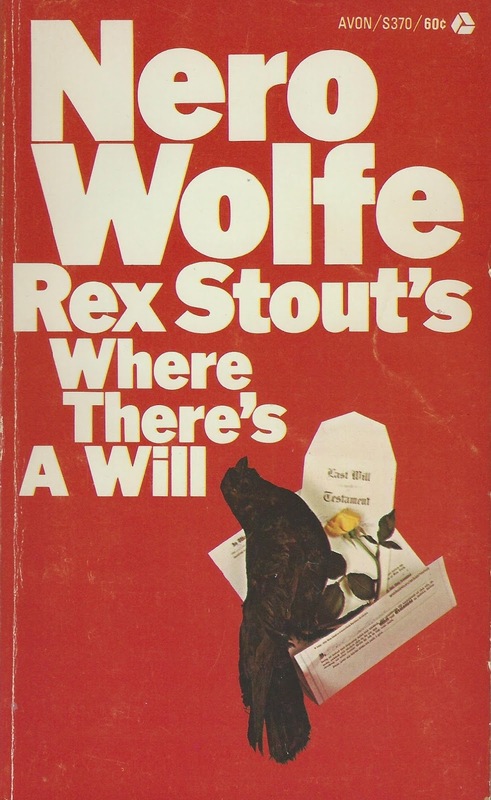 As usual, I will point out that Rex Stout is my favorite author and I am very fond of all the books in the Nero Wolfe series. 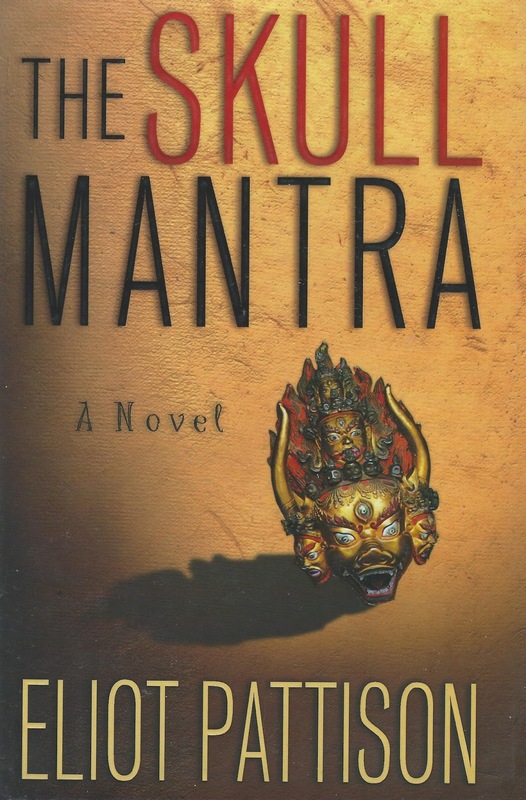 This one is not at the top level, it is not one of my top 10 books in the series. Yet, even so, it has few flaws. The plot is very complicated and there are a lot of characters, more than usual. But the story still moves at a good pace, and all the twists and turns make sense. Many of the characters are eccentric, but they are depicted in a convincing way. But most of all, I like visiting with Nero Wolfe, Archie Goodwin, and their extended family. Archie is Wolfe's employee, but they look out for each other and form a good partnership. Fritz, the cook, and Theodore Horstmann, the orchid expert, also live in Wolfe's brownstone, and there is a regular group of private investigators who help out when needed. This was the last novel that Stout published before the US entered World War II. There are hints relating to the time period, but they are not explicit or prominent, and you could easily miss them. If I remember correctly he only wrote a few novellas during the war, and only two of those actually mention the war. I would also like to emphasize that the Introduction to the Bantam Crime Line paperback edition by Dean R. Koontz is very, very good. He is complimentary of Rex Stout's writing, but he also has interesting things to say about writers in general and reading. Noah at Noah's Archives goes into even more detail on the plot, his opinions of the book, and various editions (which I am always interested in) in his review. Publisher: Bantam, 1992. Orig. pub. 1940. This is the first year that I have participated in the Reading Bingo meme. I saw posts at Bernadette's Reactions to Reading and Marina Sofia's findingtimetowrite and was motivated to give it a try. The value of looking at the year's reading this way is that I notice changes in my reading more. I read less spy fiction this year, and less science fiction and fantasy. I did read more classics from my classics list. All in all, it was a great reading year. 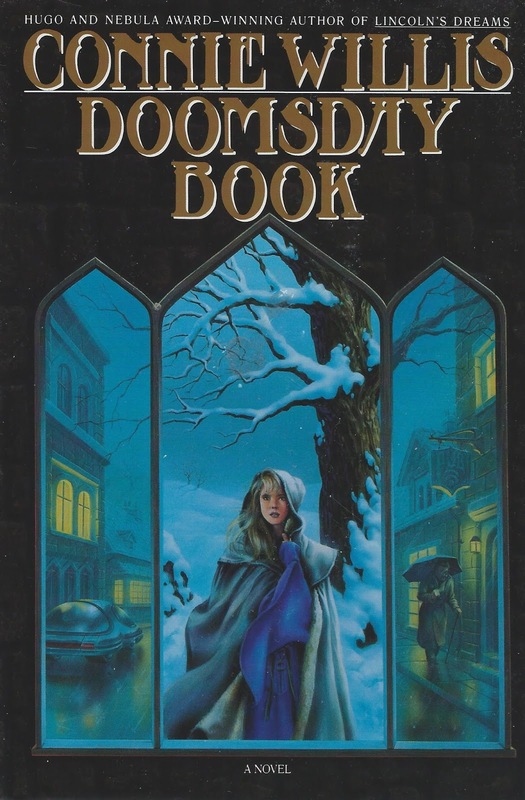 Doomsday Book (1992) is the first novel in the Oxford Time Travel Series by Connie Willis. The story begins in the 2050s when time travel has been successful in some cases, but is in the hands of historians at Oxford University. Kivrin Engel, a student of Mediaeval History, is preparing to go back to the Middle Ages, 1320 to be exact, and Professor James Dunworthy is helping her prepare. After Kivrin has been transferred back in time, the story is told in alternating sections, following Kivrin's experiences in the earlier time, and Dunworthy's efforts to recover her from the past. One of my top reads this year. Laura (1943) by Vera Caspary. I don't know how one defines a forgotten classic, but in my book, this is one. In this novel, Laura Hunt, a successful career woman working for an advertising firm, has been murdered in her apartment. She was shot at close range with BB shot as she opened the door of her apartment to a visitor. Mark McPherson starts his investigation of the case by interviewing the two men who cared for her most, Waldo Lydecker, her friend and mentor, and Shelby J. Carpenter, her fiance. The movie based on this book is much better known, and both are very good. 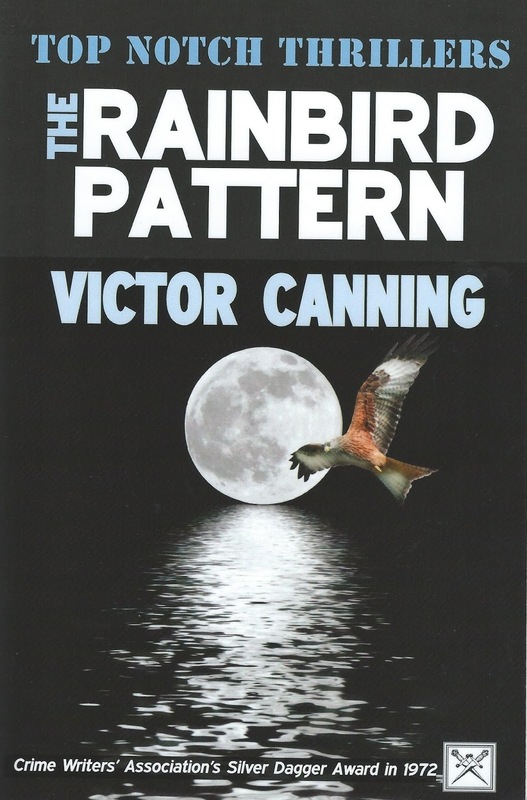 The Rainbird Pattern (1972) by Victor Canning is the 2nd book in a loose series called the Birdcage books. They all revolve around a covert security group in the UK, a branch of the Ministry of Defense. There are two distinct plot lines. One deals with a kidnapping plot; the reader follows the agents of the Department as they investigate two previous kidnappings. The second plot involves an elderly woman's search for her sister's child, put up for adoption decades earlier. The book was made into a film, titled Family Plot, by Alfred Hitchcock. The story was changed and the film has a humorous tone. I enjoyed both versions but the book was fantastic. 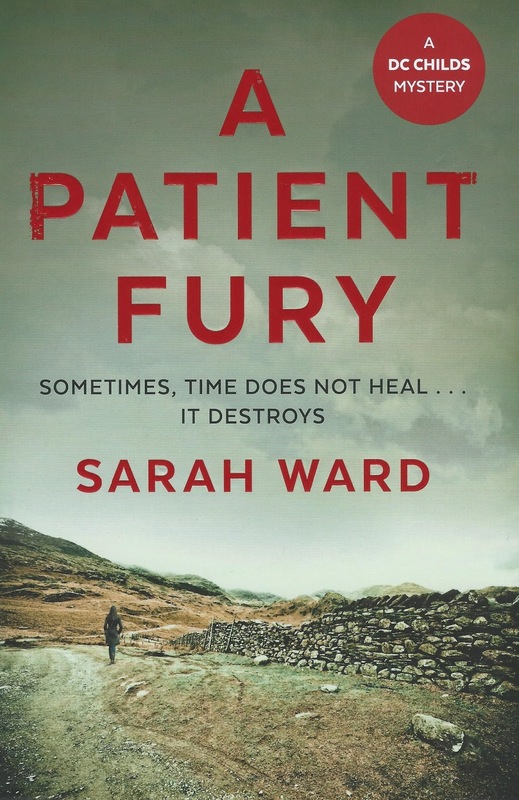 A Patient Fury (2017) is the third DC Childs mystery, written by Sarah Ward. The series is set in the Derbyshire Peak District where the author lives. Sarah Ward's books all concentrate to some extent on families and their bonds and relationships. The characterizations are superb and the story is riveting. I have been a fan of the series since it started and this book did not disappoint. One of my favorite reads this year. 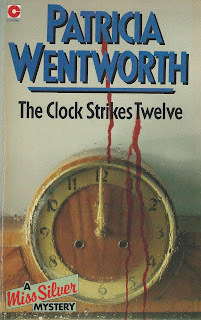 The Clock Strikes Twelve (1944) is the 7th book in the Miss Maud Silver series by Patricia Wentworth. James Paradine, the patriarch of the Paradine family, announces at a family dinner on New Year's Eve that one of his guests has betrayed the interests of the family. By midnight he is dead. Just about everyone in the family is considered a suspect, some more than others, and one of the heirs brings in Miss Silver to clear things up. i had not read any books from this series for a while, and I enjoyed this one a lot. I have no books to fit this square. 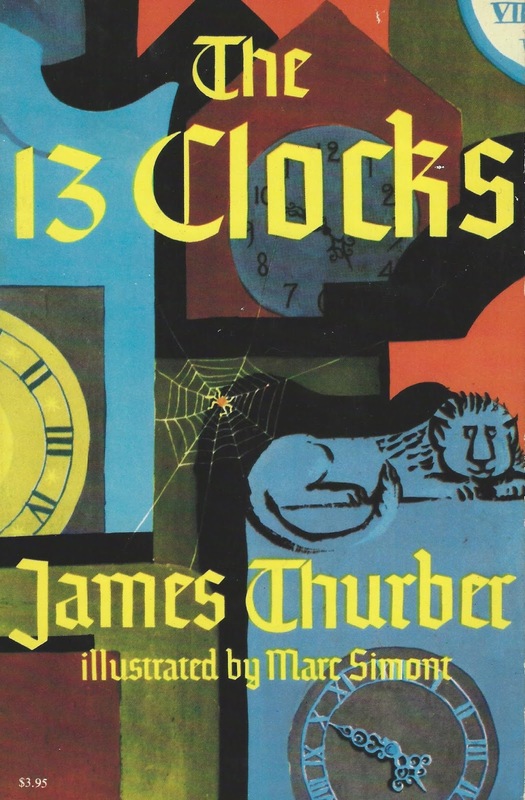 I had a hard time categorizing The 13 Clocks (1950) by James Thurber and I haven't reviewed it yet. It is sort of a fairy tale, but not really. I don't think it was written for children specifically but I am sure that it has been read to many children. It is whimsical and fun. 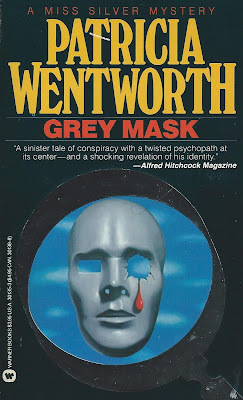 The author of Brothers Keepers (1975), Donald E. Westlake, is primarily known for his crime fiction, but this is not a crime story. It is a caper, and very humorous. Brother Benedict is a member of the Crispinite order, numbering only 16 monks, which has occupied a building in midtown Manhattan, built by the original monks on leased land. Brother Benedict discovers in the newspaper that the building that they are housed in will be demolished along with the rest of the block they live on. The rest of the book is about Brother Benedict and the rest of his order, trying to save their building. Along the way, he falls in love with the landlord's daughter. 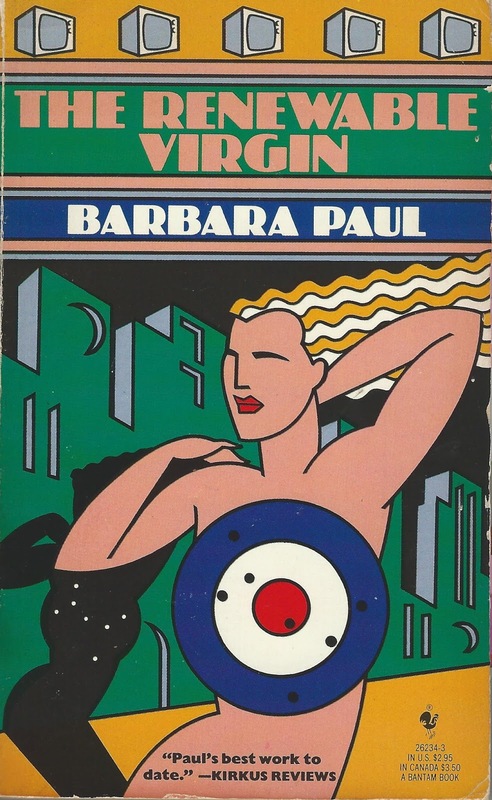 The Renewable Virgin (1984)by Barbara Paul, set in New York City, is the first of seven books in the Marian Larch series. Rudy Benedict, a screenwriter, dies after taking poison in a headache remedy. Kelly Ingram is his friend (and almost lover) who plays a continuing role as a beautiful, dumb blonde in the TV show (described as "Harry O in the Big Apple") that Rudy sometimes wrote for. The three women affected by Rudy’s death tell the story in alternating chapters -- Kelly; Rudy's mother, Fiona; and Marian Larch, a homicide detective. The story was written and set in the early 1980's and thus reflects the experiences of women in the workplace at the time. 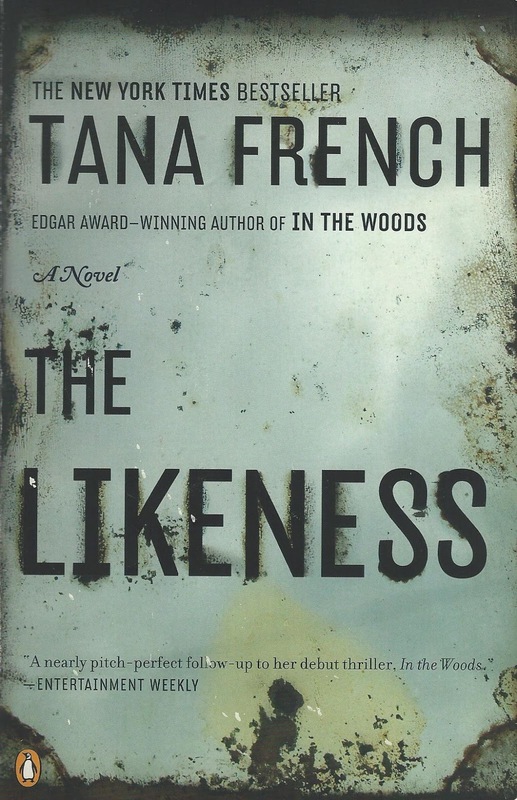 The Likeness (2008) was the sequel to Tana French’s debut, In the Woods. 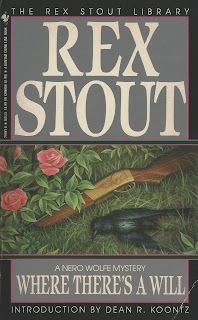 That book featured two detectives in the Murder Squad in Dublin, Ireland, Rob Ryan and Cassie Maddox. In The Likeness, Cassie is now working in Domestic Violence at police headquarters, but a unique opportunity arises for her to go undercover, taking up an identity she used previously when she worked in the Undercover division. This is not a perfect book but very close. Also a Chunkster (466 pages). Persuasion (1818) by Jane Austen is the story of Anne Elliot, the middle child in a family of three girls; at the time of the book she is 27 years old. She lives with her father and her older sister; her mother died with she was young. Her younger sister is married with several children. The members of her family are pretty ghastly, self-centered to the extreme. Anne on the other hand is sensible, intelligent, considerate, and willing to help out where needed. She also has a long lost love that comes back into her life. This was the fifth book by Jane Austen that I read this year, and it is tied with Pride and Prejudice as my favorite novel by that author. Game Without Rules by Michael Gilbert is a book of short stories about two middle-aged spies. I loved every story. The book was published in 1967; the stories had been published in Argosy between 1962 and 1967. The protagonists only show up in two books of short stories and I am in the middle of reading the second set of stories, titled Mr Calder & Mr Behrens. I saved this spot for a book by my favorite author: Over My Dead Body by Rex Stout. It is the 7th book in the Nero Wolfe series, published in 1940. Nero Wolfe is a genius, a lover of orchids and fine food, who supports himself (and his household) as a private detective. Archie Goodwin, the narrator of the stories, is both his assistant and a private investigator, and he does most of the legwork. They live in a New York brownstone and share the house with Theodore, the plant expert, and Felix, Wolfe's cook. The story centers on a woman who claims to be Nero Wolfe's long-lost adopted daughter. The story was published after the war in Europe had started but the U.S. was not yet involved and it involves international intrigue. And in this book we get a peek at some of Wolfe's background and his activities in Montenegro when he was a young man. 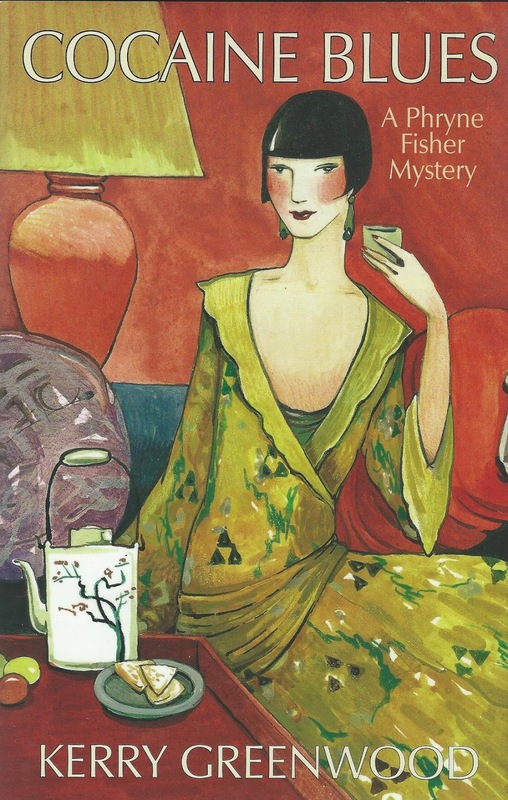 Cocaine Blues (1989) is the first book in Kerry Greenwood's long running series about Phryne Fisher, a rich young woman who leaves a life of leisure in London to become a lady detective in Melbourne, Australia. This book exceeded my expectations. I knew the heroine was an adventuress, and the setting was in the late 1920s, so my assumptions were that it would be cozyish and very unrealistic. The unrealistic part may be true but this book was such fun to read that I did not care. It was a very refreshing read. 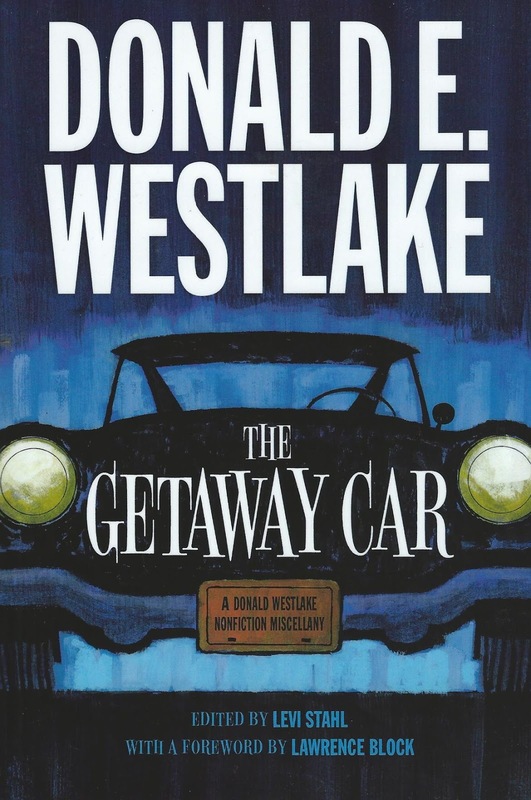 The Getaway Car (2014) is another book by Donald E. Westlake, but this time it is a collection of non-fiction pieces by him. They include appreciations of other crime fiction authors, interviews (of Westlake, by others), and letters. There is a wonderful essay by his wife, Abby Adams Westlake, about "Living with a Mystery Writer." I enjoyed reading about his experiences with having his books translated into film, and his experiences as a screenwriter. No matter what he is writing about, Westlake is entertaining. The John Putnam Thatcher series by Emma Lathen is one of my favorite series of mystery novels. 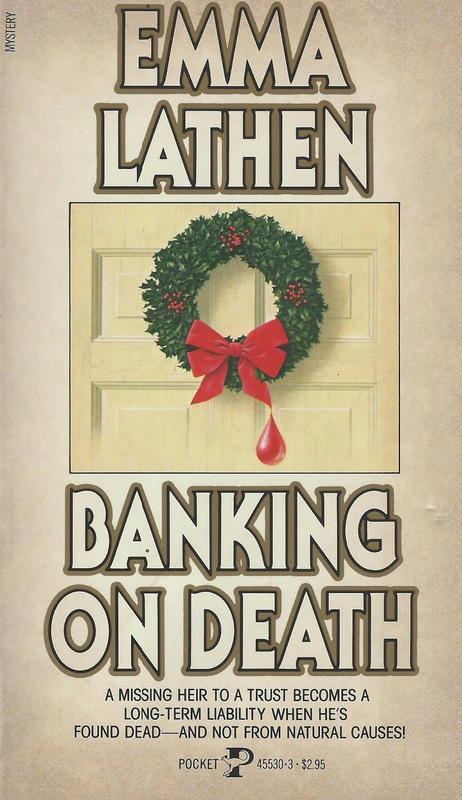 Banking on Death (1961) is the first in the series, and I reread it recently because the story is set around Christmas. 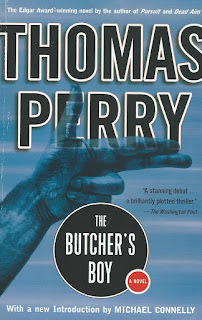 Thatcher, senior vice president and director of the trust department of Sloan Guaranty Trust on Wall Street, is the protagonist of this series totaling 24 books. Most of the books are focused on one type of business that is using the services of the Sloan, and the story shares many facts about the running of the specific types of businesses. But in this first book, the focus is on the business of the Sloan, the third largest bank in the world. And the issue that starts the story is a query into the status of a small trust that the Sloan has been managing for close to thirty years. I have read this book at least three times and I enjoy it every time. 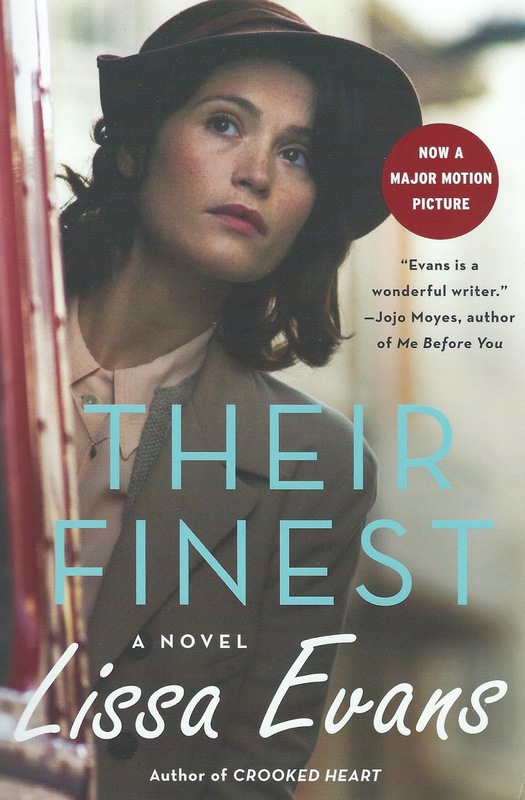 Back in 2015 Moira at Clothes in Books alerted me to this book -- Their Finest (2009) by Lissa Evans, set in the the UK in 1940 and 1941. The story is about a young female copywriter who gets an assignment to the Ministry of Information, writing parts of scripts for a WWII propaganda film. That alone would be an interesting subject, but the story follows several other people associated with the filming. Each one provides a different view of the UK during the war. It is a lovely story, very humorous and moving. A film adaptation of the book came out in 2016, starring Bill Nighy, Gemma Arterton, and Sam Ciaflin. The original title of the book was Their Finest Hour and a Half. I usually don't read books that are best sellers but I ended up reading The Cuckoo's Calling by Robert Galbraith (pseudonym of J.K. Rowling) based on good reviews by trusted bloggers. Unfortunately this book did not become a best seller until people realized that the author was Rowling. That seems very sad to me. 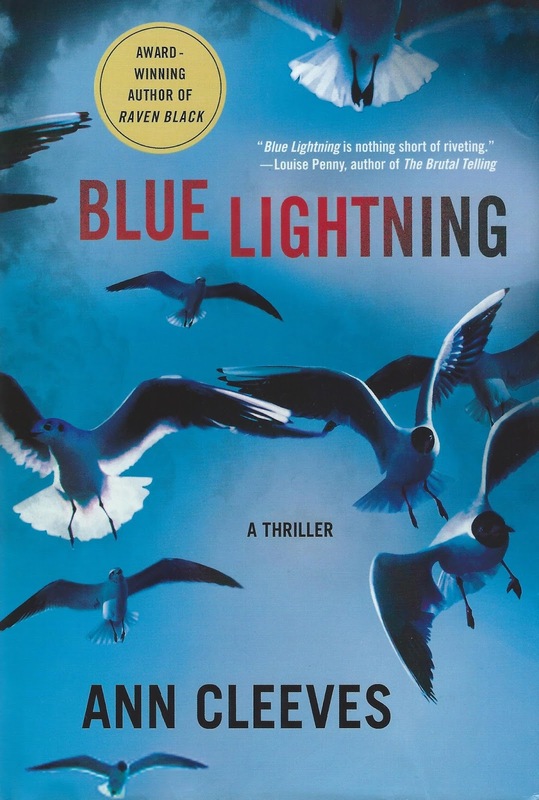 I did enjoy this book quite a bit; I liked the characters and the story was told very well. It could have been shorter though. I have read no books in this category. 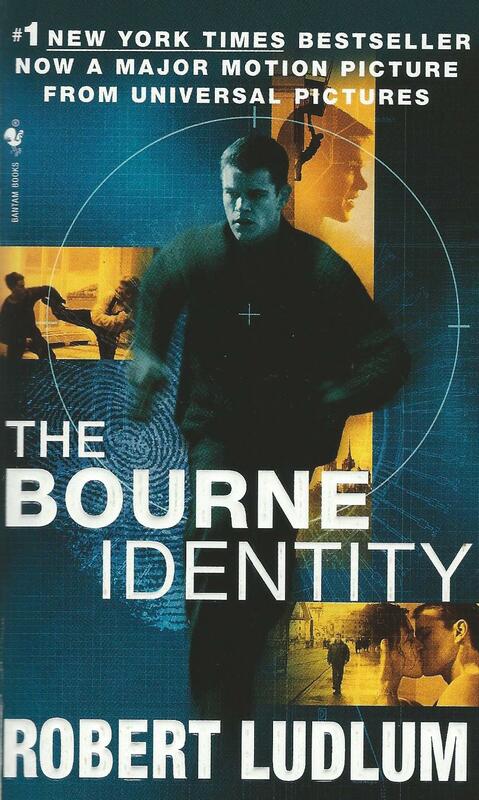 The Bourne Identity (1980) by Robert Ludlum. As this book starts, a man has been fished out of the Mediterranean Sea, barely alive. He has amnesia from head trauma. The story is about his search for who he is. I had owned this book for at least 15 years. Espionage fiction is one of my favorite sub-genres and I don't know why I put off reading such a well-known book in the genre. (Maybe because it is so long: 535 pages.) It falls more in the action thriller area than most spy fiction I enjoy, and it did require me to suspend disbelief quite a bit. Yet, for the most part, the journey Bourne takes to learn his real identity makes sense. 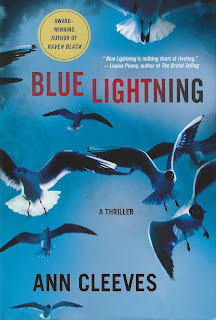 This category gives me a chance to highlight two related books: Red Bones (2009) and Blue Lightning (2010), two books in the Shetland series by Ann Cleeves. In 2017 I loaned Red Bones to a friend at work and she loved it so much she convinced me to read it too. It had been sitting on the TBR pile too long. What do I like about this series? Although I find this to be a slowly paced series, with the main detective, Jimmy Perez, indulging in a lot of musing about his relationships and his future, it does have a combination of good storytelling, good characters, and the wonderful setting of the Shetland Islands. And another big plus is that there is variety in each book. Patricia Highsmith is known for her dark, suspense-filled novels. This year I read my first book by her: Strangers on a Train (1950). The basic story is that two men meet on a train, and one of them suggests a murder pact. If they each murder a person that the other wants to get rid of, then they can get away with the perfect crime. A very good novel, but a disturbing read. I read the first 100 pages enjoying Highsmith's wonderful way with telling a story, but beyond that point I had to slow down and only read a bit of it a day. It was too intense. There is also a well-known movie adaptation, directed by Alfred Hitchcock. Also very good, but the book has more depth. Most of the books I read were written before 2000, and probably half of those were written before 1960. 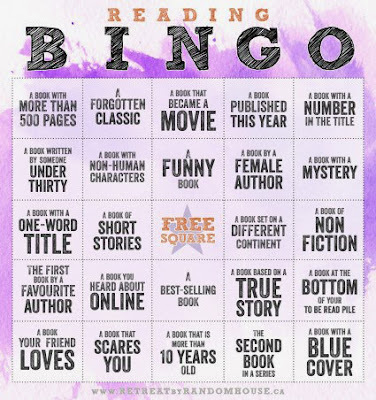 So it is not hard to pick a book for this category. 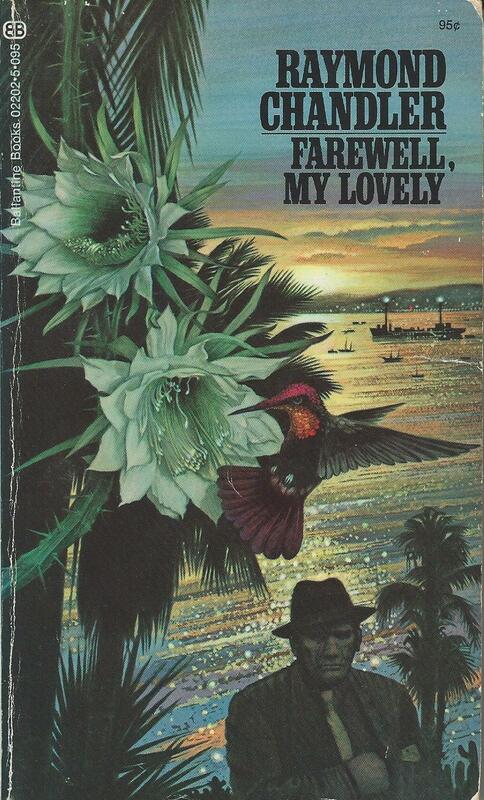 Farewell, my Lovely (1940) is the 2nd book by Raymond Chandler featuring Philip Marlowe. The plot was convoluted and circuitous and I was lost at times, but I did not care. The style of writing was so well done, so beautiful that I was mesmerized. The picture of Los Angeles in 1940 was interesting, the characters were well defined, and the descriptions of the area and the characters were breath-taking. A Fountain Filled with Blood (2003) is the second mystery in the Reverend Clare Fergusson/Russ Van Alstyne series by Julia Spencer-Fleming. Clare Fergusson has left her job in the military as a helicopter pilot to become an Episcopal priest in the small town of Miller's Kill, New York. Russ Van Alstyne is the police chief and they seem to run into each other a lot. As the citizens of Miller's Kill, New York head into the July 4th weekend, two gay men are severely beaten in separate incidents. When another man, also homosexual, is killed, Russ must figure out if the crimes are connected. Mixed in with this are conflicts within the town over development of a luxury spa and environmental issues. I don't know why I like this series so much but I do. 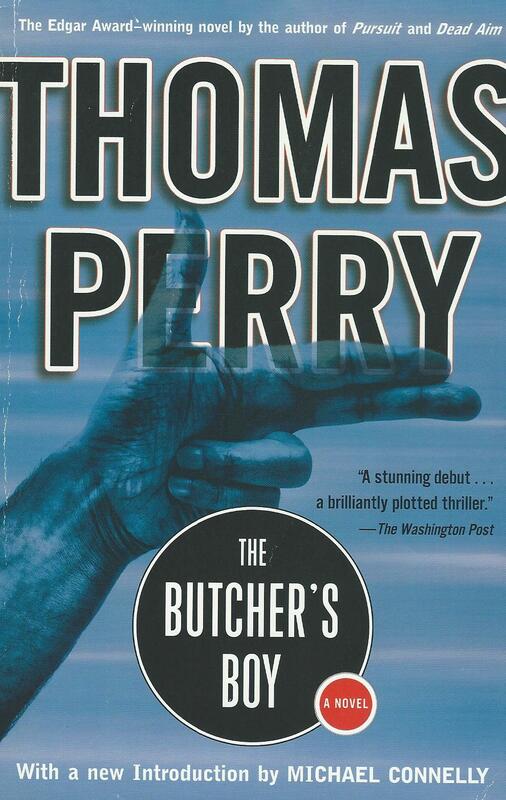 The Butcher's Boy was Thomas Perry's debut novel; it won the Edgar for Best First Novel of 1982. The two main characters are a professional killer with no name and Elizabeth Waring, an analyst for the Department of Justice. They are both very good at what they do. I liked the way the story develops, with two main story lines, one following the killer and one following Elizabeth Waring. Although the killer is not likable, and has little personality, it is interesting to watch him work and follow his thought processes when he runs into problems. Elizabeth is highly intelligent and a talented analyst, but she has to watch how she behaves with her superiors, because she is a woman. The Renewable Virgin is the first book by Barbara Paul that I have read, and it won’t be my last. It was one of my favorite reads of 2017. Rudy Benedict is a screenwriter who dies after taking poison in a headache remedy; the police are not even sure if the poison was intended for him. Kelly Ingram is his friend (and almost lover) who plays a continuing role as a beautiful, dumb blonde in the TV show (described as "Harry O in the Big Apple") that Rudy sometimes wrote for. Rudy's mother, Fiona Benedict, is a college professor who comes to New York and seeks out Kelly. Marian Larch is a NYPD homicide detective who ends up mediating between them. This was the perfect book for me. I don't know why I waited so long to read it. The three women affected by Rudy’s death tell the story in alternating chapters. Each chapter title is the woman's name so it is very clear who is talking. They each come from different environments, and have very different personalities. The story was written and set in the early 1980's and thus reflects the experiences of women in the workplace at the time. The plot is complicated and the background story of the TV show, Kelly's role in it, and the competition between her agent and the show's producer is funny and entertaining. The characters are very well done. The story is light and humorous, but not lightweight at all. This is the first of seven books in the Marian Larch series, although it was an accidental series, per the author. Thus Marian does not always feature prominently in each book. I just learned about this Read-along for Les Misérables by Victor Hugo. The main goal is to commit to reading a chapter a day as there are exactly 365 chapters in the unabridged version of the novel. I cannot say this is a book that ever called to me to read it but the idea of experiencing it one chapter a day for a year sounds very appealing. It is a very very long book. I am guessing the chapters average 4-5 pages each. The Read-along is hosted by Nick Senger at One Catholic Life. It starts on January 1, 2018, and concludes on December 31. At Nick's blog, he will have weekly posts that will stay on track with the reading schedule, and since he has experienced this novel several times and taught it in school, I think those posts will be useful to me. Check out the sign-up post for more details. Although the idea is to commit to reading a chapter a day, there is nothing to prevent one from reading ahead at times, or getting behind, and I imagine I will do both. I will start reading this on my Kindle, which will be a big step for me since I have avoided using it for at least a year now. I think the shorter chunks of reading will allow me to see how I like the experience (both reading the book and using the Kindle). I will also be looking for a print copy, but I want to start reading today, and an e-book is the only option. Plus I can verify that I am enjoying the experience before I commit to a print copy. I want to give credit to Brona at Brona's Books for alerting me to this Read-along.